Sanitary Sewer Overflows are unintentional releases of sewage from a sanitary sewer into the environment. It is imperative to minimize these incidents because of the potential impact to public health and the water environment, as well as the avoiding the fiscal impacts. 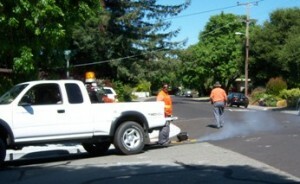 The Bay Area Clean Water Agencies (BACWA) published this helpful summary.LGVSD utilizes smoke-testing as one method to determine potential trouble-spots and ultimately avoid sanitary sewer overflows. 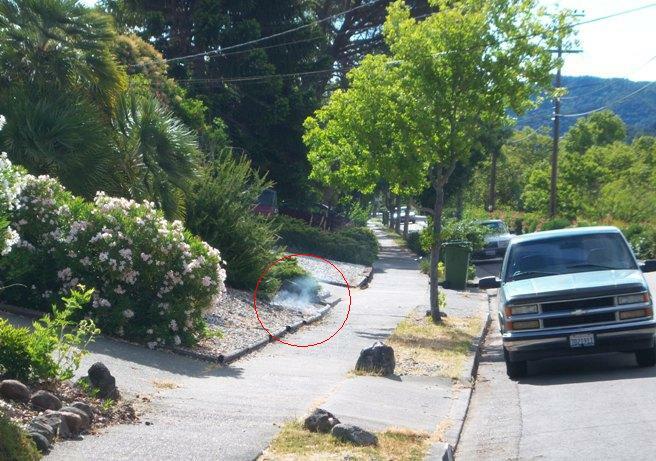 Smoke testing is a time honored method used to locate sewer lines that may be leaking ground and surface water into the District’s sewer lines, and to pinpoint house plumbing venting problems. These plumbing venting problems can be a source of odors or fumes that can cause you some discomfort. During the smoke test, smoke could possibly enter your home or building. This would occur if there is a worn seal around your toilet or dried traps in your sinks, showers, or bathtubs. 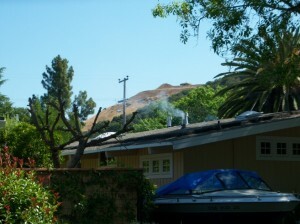 Should this occur, please do not be alarmed, the smoke is not a danger to your health. 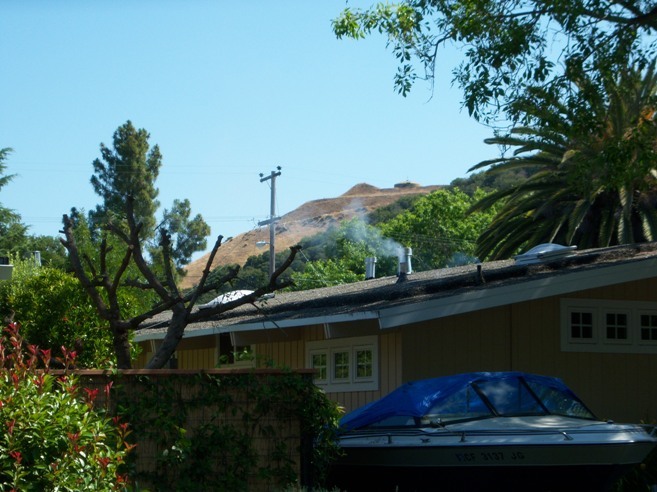 Just step outside and confer with representatives of District staff that will be in your neighborhood during the smoke testing, or call the District at 415-472-1734 x13. We appreciate your cooperation with our smoke testing project. The results will allow us to improve your District sewer system. During the rainy season, the District can experience heavy infiltration & inflow (I&I) of storm drainage water runoff and ground water into our sewer system. The introduction of I&I into our sewer collection system reduces the capacity of the District’s collection system mains and increases the total flow to the treatment plant that must be treated. The District is currently identifying I&Iocations around the District in an effort to avoid having to expand the collection system and treatment facilities. I&I flow also adds significantly to our treatment costs due to the need for additional pumping and chemical treatment. To assist us in eliminating some of the I&I, the District utilizes smoke testing. If you have any questions, please call Greg Pease at 415-472-1734.